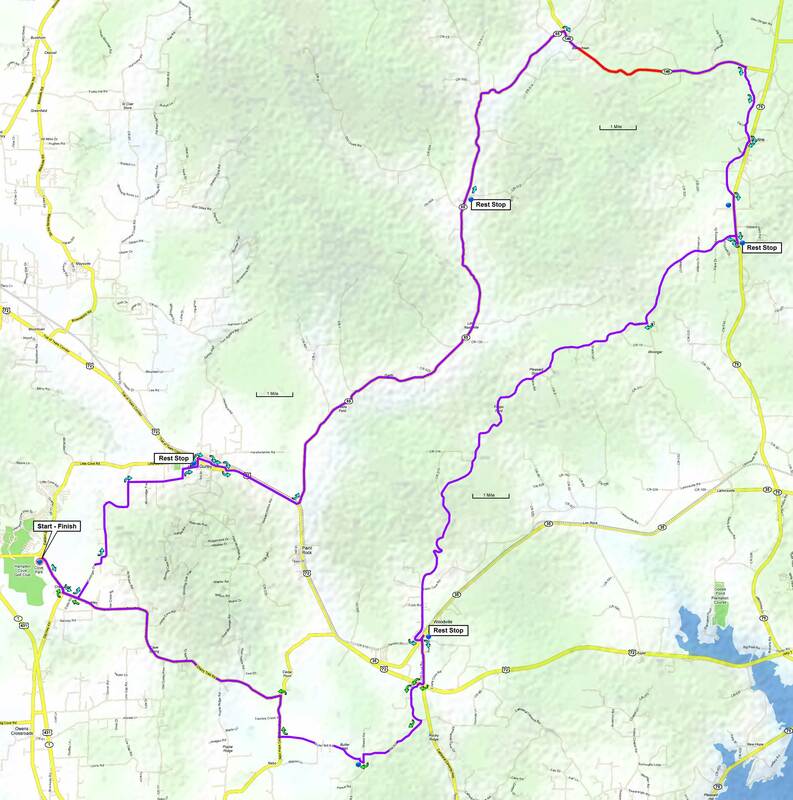 This route is 74 miles, starting at the Cove Park ballfields near Hampton Cove. 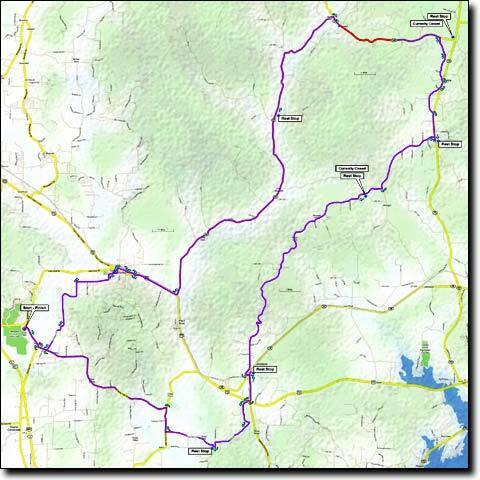 The ride links two of the best cycling roads in the county, the Paint Rock valley's AL-65 and CR-8 along the top of Nat Mountain. It's a hilly route and includes one long mountain climb; most of the hills are on the second half of the ride. Traffic along most of the route is light; while the section along US-72 is busy there's a wide shoulder. Pavement is mostly very good, with some rough sections on the backroads after the climb, and on the descent down off Nat Mountain at mile 53. There are three rest stops, at miles 23, 39, and 57. The long Hytop AL-146 climb begins at mile 30 and is 2.7 miles with a 7% average grade. It's one of the more pleasant climbs in the area, low traffic and not as steep as most. The ride's total elevation gain is 2,450', starting at 580' with a maximum elevation of 1,710'. If traveling over Monte Sano on US-431 (east on Governors Drive): go 4.8 miles after passing Monte Sano Boulevard and turn Left at Old 431/Sutton Road. Travel 1.6 miles and turn right onto Old 431. The ballfields are on the right. 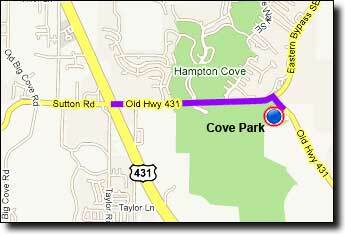 If traveling over Cecil Ashburn Drive: continue straight on Sutton Road for 0.7 miles and go straight across US-431. From the intersection go 1.6 miles and turn right onto Old 431. The ballfields are on the right. Google Maps driving directions to Cove Park.